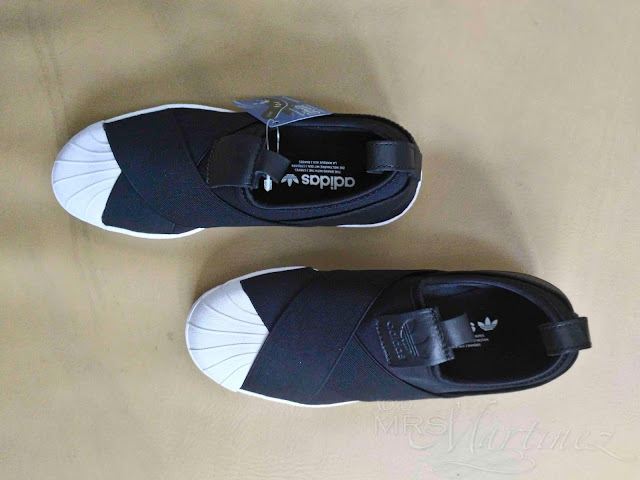 Too lazy to tie up those laces on your shell-toes? 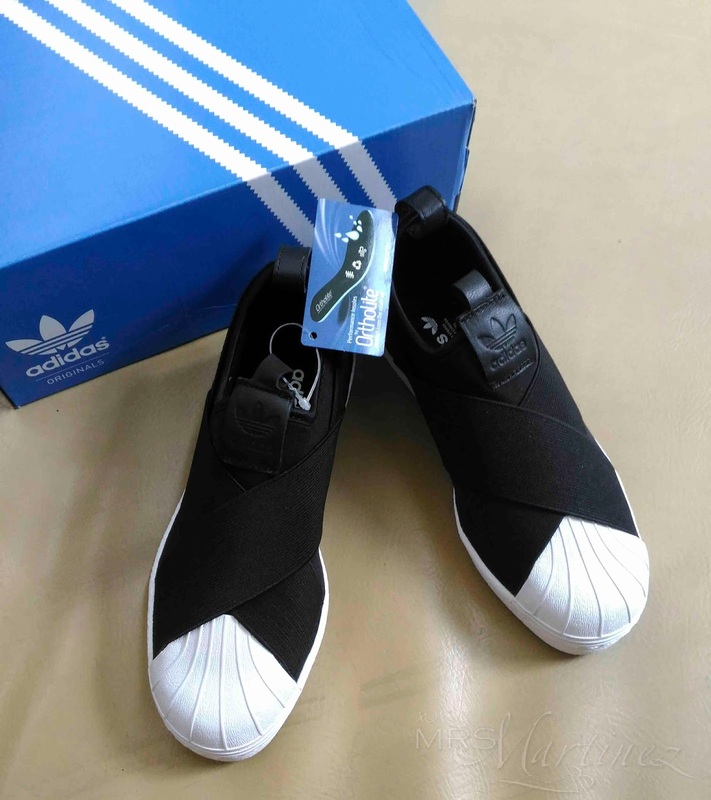 Well, get yourself a new pair of Adidas Superstar Slip-On- a variation of the classic Superstar that has a more contemporary and stylish design. 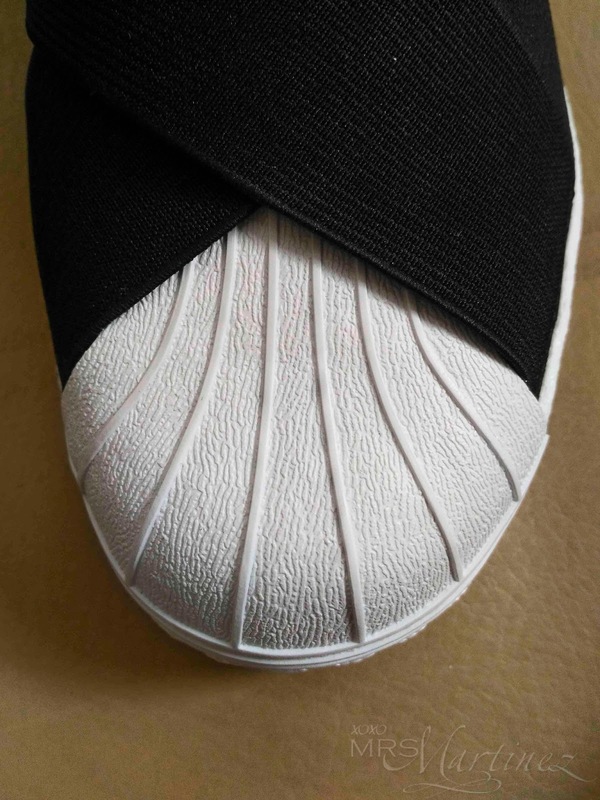 This is a must have for shell-toe collectors out there! 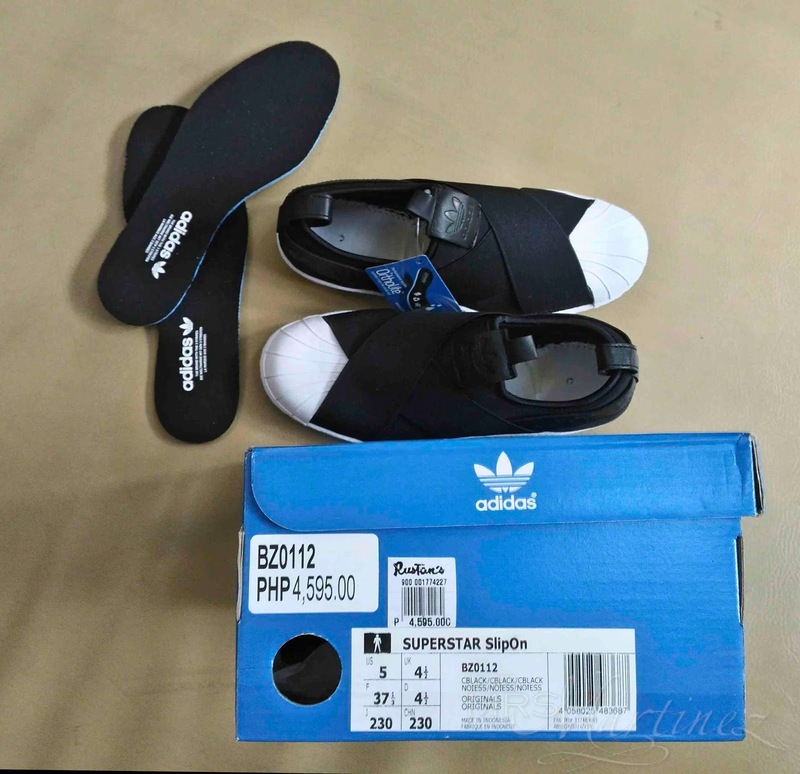 The Adidas (Men Originals) Superstar Slip-On is the second Adidas brand and the third pair of rubber shoes (the other one is a pair of Nike Air Huarache) that I bought this year. No, I didn't buy them on impulse or just to look fashionable. 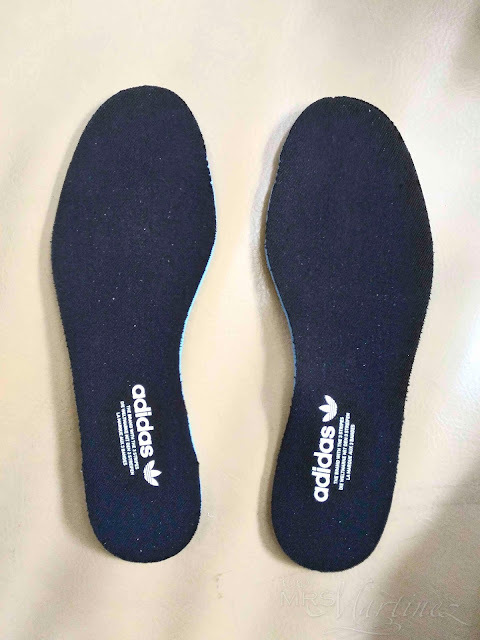 I bought these rubber shoes for comfort because I discovered that I have a heel spur or calcaneal spur. 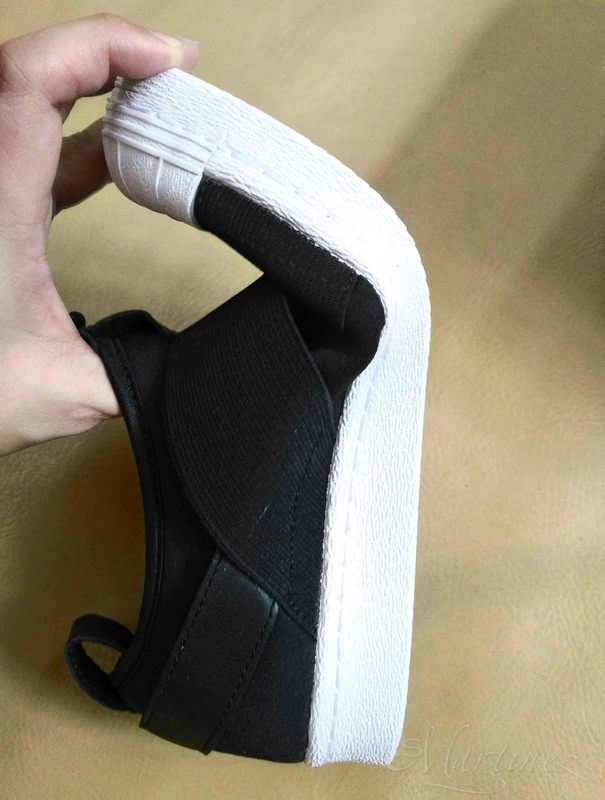 The Superstar shoe debuted in 1969 and quickly gained ground first as a basketball shoe and then as a street-style favorite. Today, the beloved shell-toe look is reborn as a sassy slip-on. 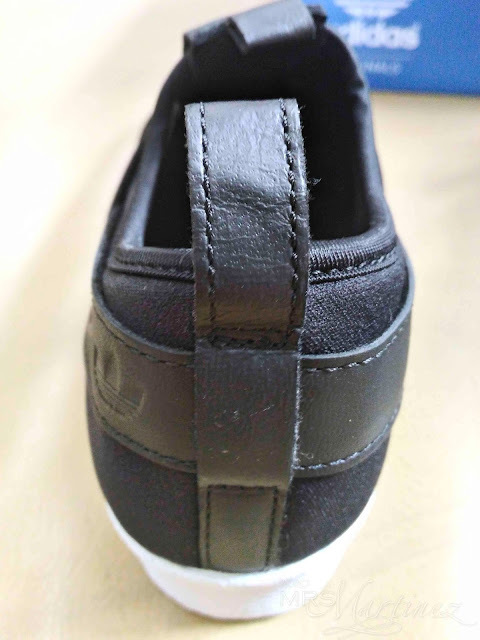 These Superstar shoes replace the laces with crisscross elastic straps for a snug fit. 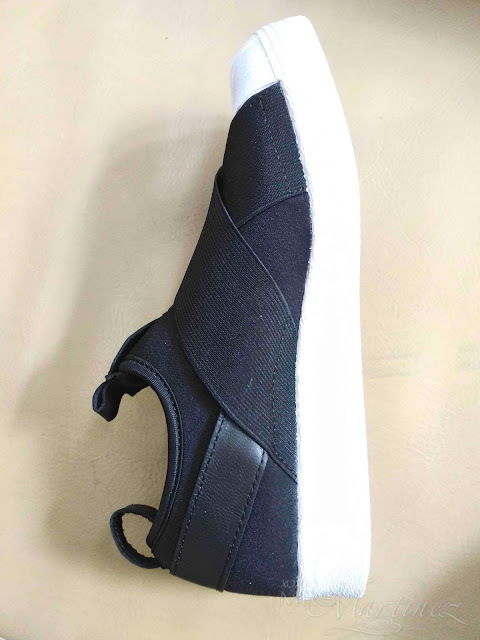 Other notable details are neoprene upper, leather details (on the ankle cage and tongue tab) and a rubber Superstar cupsole. 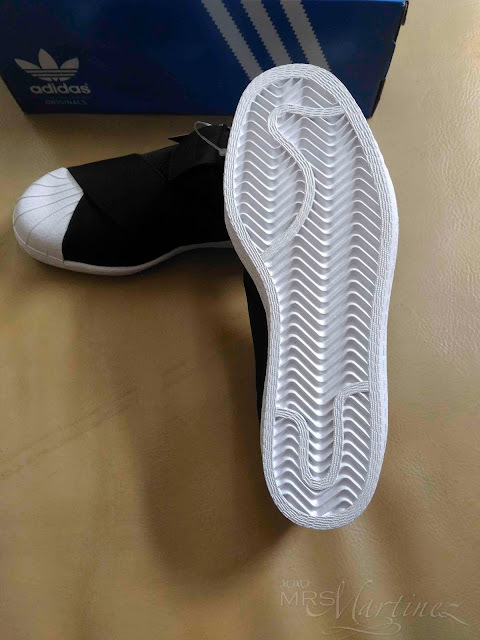 On a side note: My AdidasxKolor Special Edition Pure Boost ZG pair is size 5 1/2 (US). 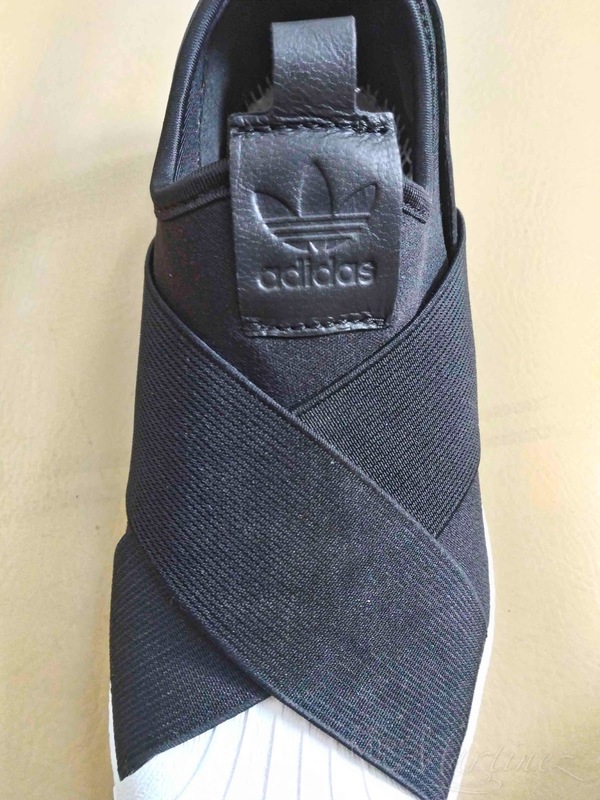 With Adidas Supestar Slip-On, I went half-size down to 5 (US). I highly suggest that you try on the Adidas Superstar Slip-On in store for comfort and fit before purchasing a pair. 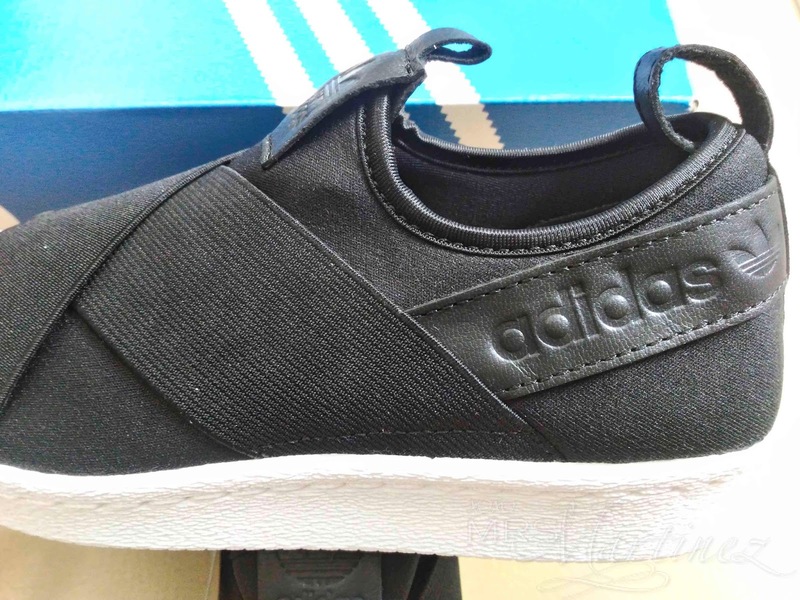 I bought my Adidas (Men Originals) Superstar Slip-On at Rustans, Shangri-La Plaza for Php 4,595 last June 23, 2017. Read my review on Nike Air Huarache Run Ultra here. Eeep... I bought a pair of Adidas Adilette Comfort Slides aka Adidas Women Swim Adilette Cloudfoam Plus Explorer Slides in Raw Gold. Read more about it here.